James Bailey leads the Canberra Family Wealth Management team to deliver strategic financial and investment advice for clients to optimise their wealth for retirement. He also co-manages the firm’s Canberra office, taking the local lead on recruitment, mentoring, business development and community involvement, and a regular presenter on investment topics at the firm’s education seminars. When it comes to investing, James believes one of the biggest advantages for Dixon Advisory clients is their access to the world-class insights of the Investment Committee. He says, “They instil a lot of confidence for clients knowing that the committee’s recommendations are well researched, vetted and considered with a strong track record. This puts our clients in a strong position moving forward”. James is also very proud of the fact that the firm has strong relationships with relevant universities, which underpins the quality of its graduate program. He says, “We have heavily invested in developing our relationships with the Australian National University and the University of Canberra. As our firm grows, it’s so important to be able to draw on a strong pool of graduates from local networks”. 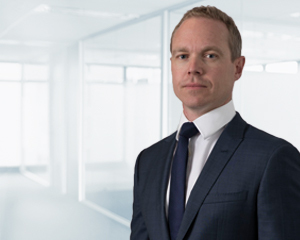 During his career with Dixon Advisory, James has advised clients on investments across a range of asset classes including cash, fixed interest, property, Australian and international equities. He began his long tenure within the Accounting team before moving into Investment Advisory and his current role as Executive Director. James has a Bachelor of Commerce from the University of Canberra, and both a Graduate Diploma in Applied Finance and Investment as well as a Graduate Certificate in Financial Planning from Kaplan.